The project is part of a study about algae structures employed as strategy for the design and the use of new materials. 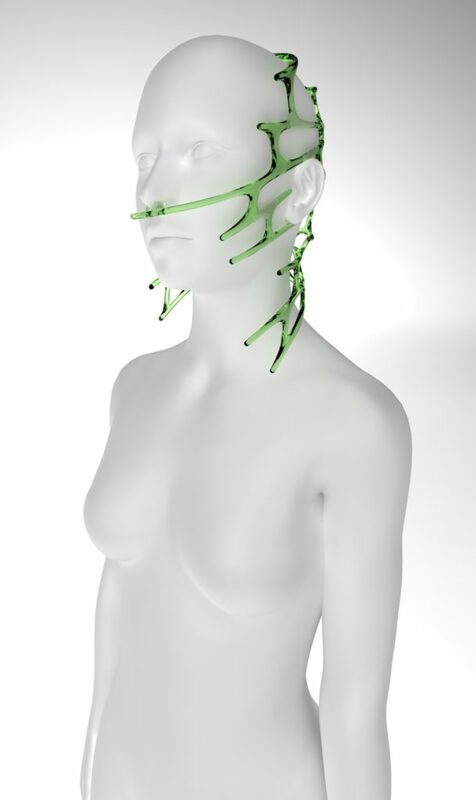 ‘Viva’ is a speculative symbiotic accessory part of a new and experimental design method, a new kind of accessory which is in connections with the internal part of the body and the one of the object worn. The breath communicates with the algae inside contributing to their reproduction to receive pure oxygen back.